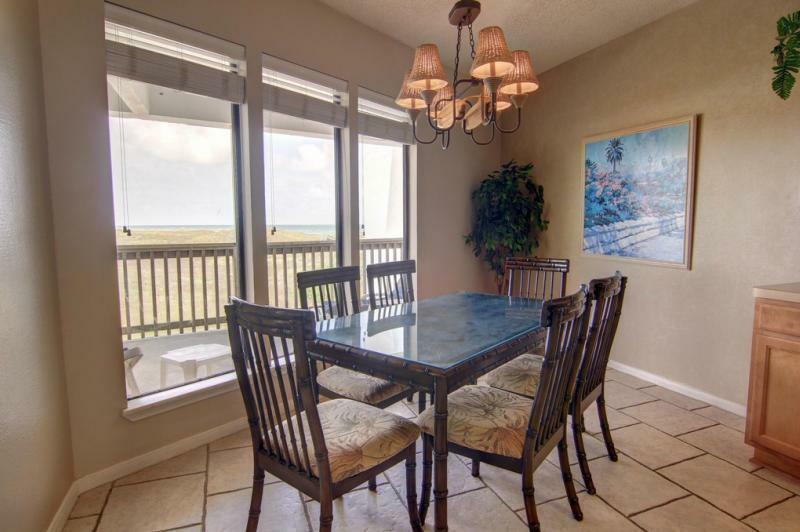 Resort living at its finest on the Texas Gulf Coast! 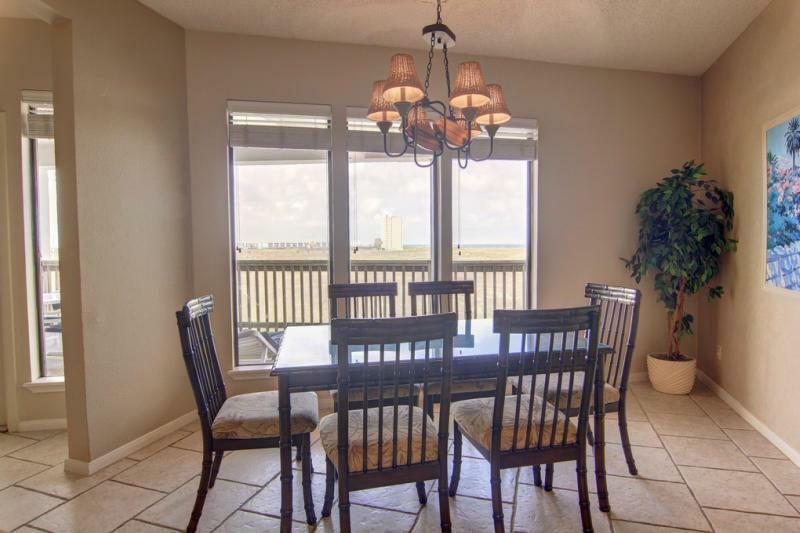 You will love the beachfront location of this 2/2 unit at Port Royal, with its expansive views of the Gulf of Mexico. 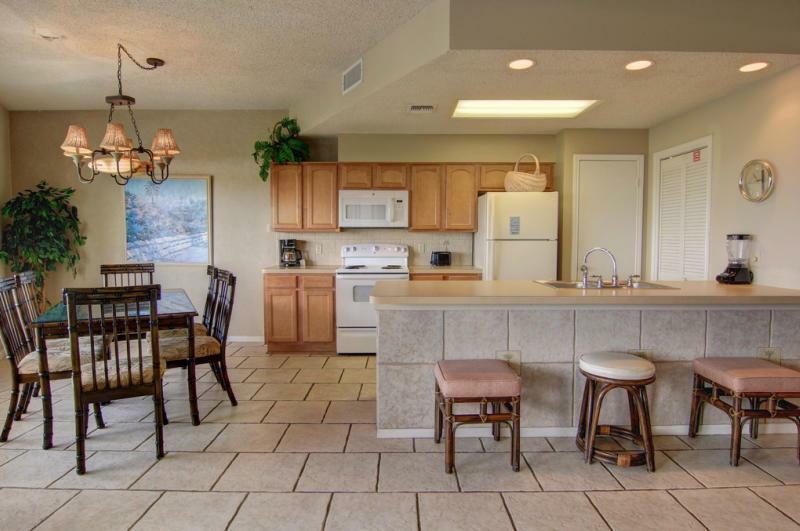 Updated tile in bathrooms, updated kitchen cabinets and floor is tiled throughout. Second bedroom has bathroom with 2 entrances for convenience of your guests. Too many amenities to name - four lagoon pools,tropical landscaping with stepped waterfalls, 2 water slides, Olympic sized heated lap pool, boardwalk to beach, conference room, tennis courts, and security guard entrance.Port Royal's famous pool offers swim-up bar, cabanas, the Cabana Bar & Grill, sand & water volleyball courts.Close to Arnold Palmer links style golf course, Port Aransas Municipal Airport and Corpus Christi International Airport, Port Aransas shopping & dining, and upcoming Schlitterbahn water park on Padre Island. Restaurant 361 is open seasonally for breakfast, lunch & dinner & for its famous Sunday champagne brunch. Age Previously Occupied Apx Sq Ft Source Cnty/Appraisal District Block Num 0000 Complex Name Port Royal Gated Community YN No Green Built Program YN No Hers Rating 0 Hoa Dues 1433 Hoa Dues Type Mandatory Hoa Frequency Monthly Hoa YN Yes Lot Number 000 Maintenance Fee 0 Num Of Units 0 Property Sub Type Condo Proposed Financing CashConv Uninsured Relocation YN No Reo Foreclosure YN No Short Sale YN No Short Term Rentals YN Yes Spa YN No Unit Count 0 Utilities City SewerCity WaterM.U.D.